With your support, the International Friendship Club will continue its mission of giving a helping hand to the less fortunate in Puerto Vallarta and surrounding areas. Learn more at toursforvallarta.com. 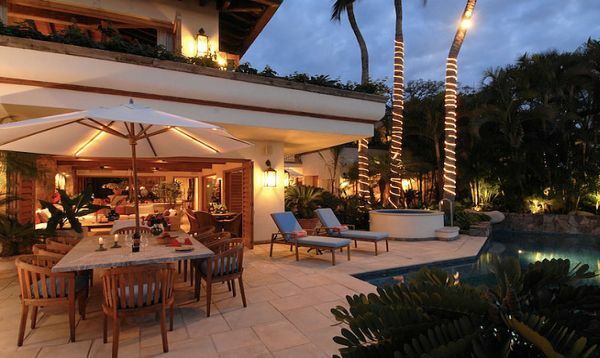 Puerto Vallarta, Mexico - The International Friendship Club (IFC) provides one of the most popular tourist activities in all of Puerto Vallarta, their always special Home Tours. So put on your walking shoes, grab your camera, and get ready to enjoy a fun-filled day of discovery, while giving a helping hand to the less fortunate in Puerto Vallarta and surrounding areas. If you like to visit gorgeous homes and enjoy architecture, art and seascapes, this tour is for you. IFC Vallarta Home Tours run every week on Tuesdays and Wednesdays through March 20-21, 2018, departing at 10:30 am from the Sea Monkey Restaurant on the beach at Aquiles Serdan, across from the Molina de Agua condominiums, on the south side of Puerto Vallarta. Seats on our luxury buses are limited, so please buy your tickets a day or two before the tour. Tickets are available in advance at the IFC office, (at the north-east corner of the bridge where Insurgentes crosses the Rio Cuale on the South side of Puerto Vallarta,) between 9:00 am and 1:30 pm Monday to Friday, and online at toursforvallarta.com. Each tour visits four homes that are opened to us through the generosity of the homeowners who believe in contributing to the community here in Puerto Vallarta. They know that, for over thirty years, all of the profits from the tours are used to support IFC's cleft palate program, and to help about 20 local charities the IFC supports financially. The charities include orphanages, help for disabled kids, schools in rural areas, food banks and a free dental program in Boca de Tomatlan. Each tour is accompanied by two docents who are helpful and knowledgeable about the homes and about life in Puerto Vallarta. The tours last for about three hours and cost $600 pesos, which can also be paid at the Sea Monkey Restaurant on the day of the tour... if there are seats available! If you would like to see four fabulous homes, while helping to make life safer and better for the children who live here, click HERE to get your tickets TODAY!